Hola amigos! 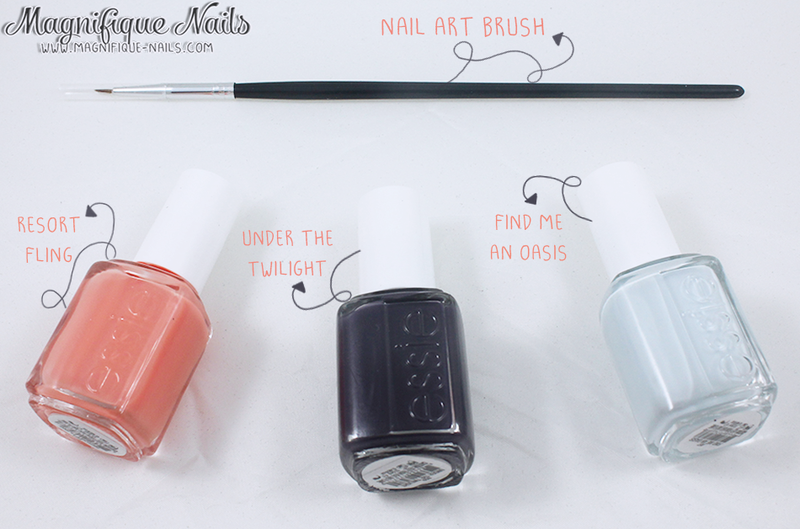 Recently I swatched Essie's resort collection (here), and thought to use the colors for a small and easy tribal nil art design I had in mind. Mostly I like to browse online to find some inspiration. But this was more like an inspiration off on my head. (I hope I'm not the only one who does this). For this design, I applied three thin coats of Essie's Resort Fling. This was super difficult to apply since the this specific polish was soo sheer and little difficult to apply. Either way I totally love this color! Once the polish dried, using a small detailed nail art brush I drew the triangle below the cuticles; like a half moon. I used Essie Find Me An Oasis. 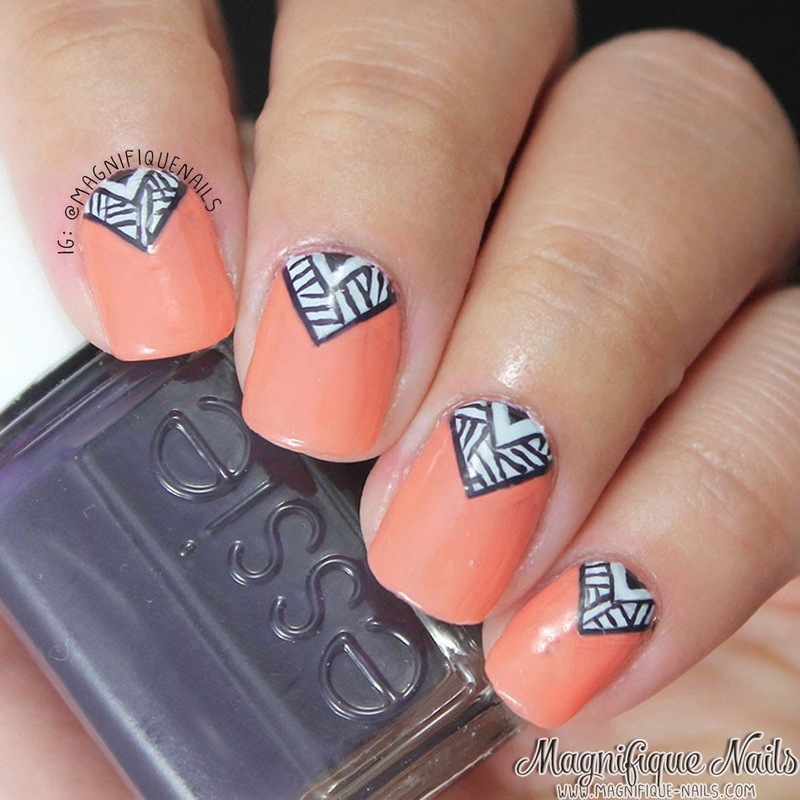 I then added lines outside and inside of the triangles, using Essie's Under the Twilight. 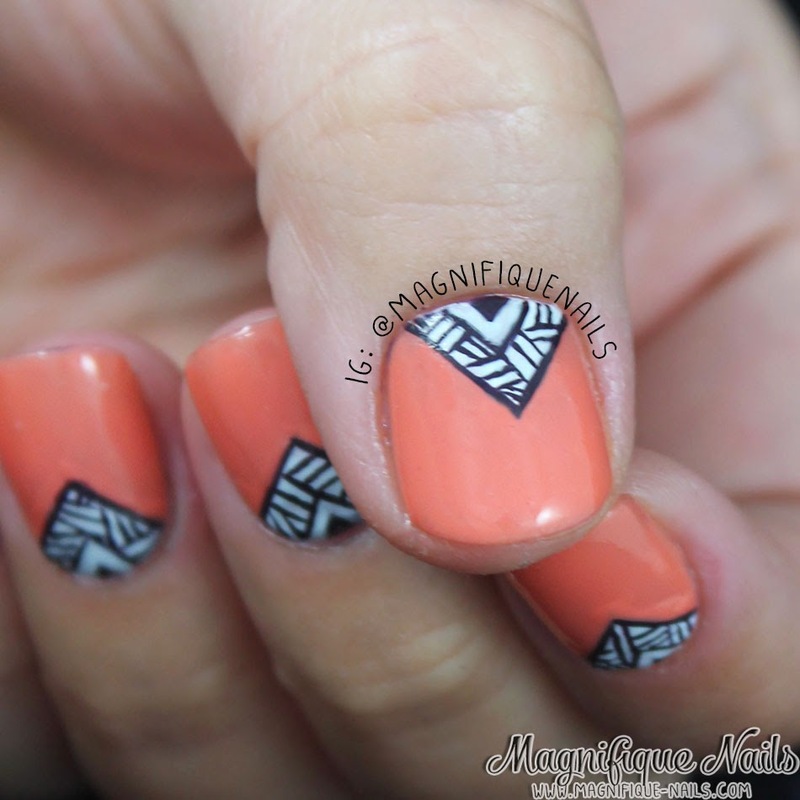 With the same nail art brush I added more line creating a tribal look.